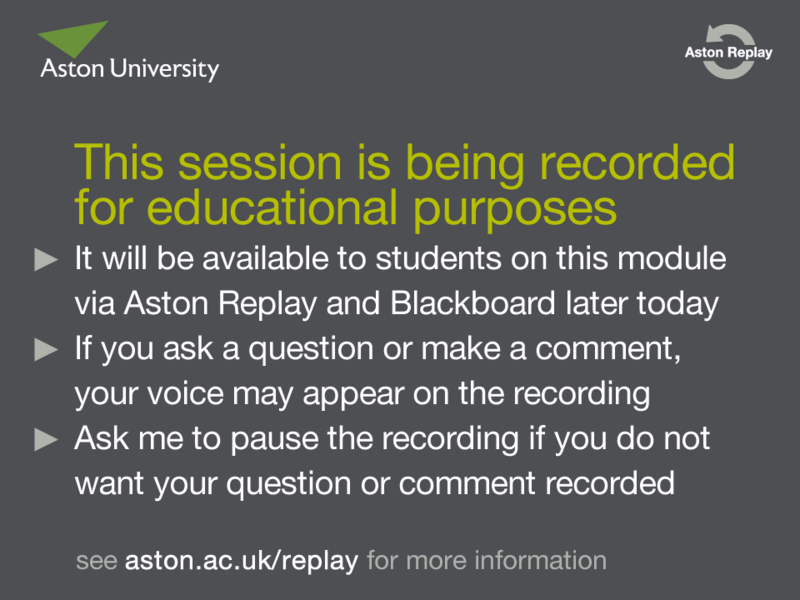 You need to let the students know the session is being recorded. To aid this, we’ve produced a slide you can insert into your presentations. Right click the image and choose Save Image As (or similar) to download a copy. Then, in your presentation, add a new slide at the start and set this image as a background.